When I first started watching YouTube I would constantly hear about the EOS from US beauty gurus and was so intrigued by them. 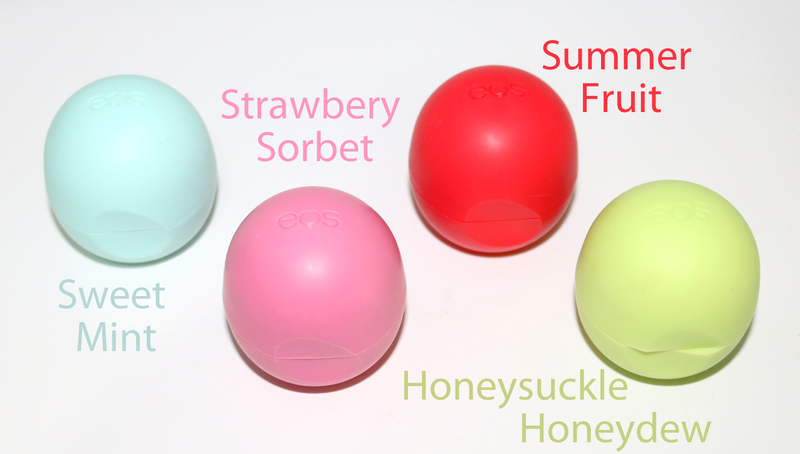 EOS stands for evolution of smooth and is a brand best known for their sphere lip balms. I totally understand the appeal, nice smelling lip balms in cute pastel coloured containers in an egg formation. It got to a point where I decided that I had to try one out, at all costs, and boy did I pay up big. These retail for under $5 in the US but at the time the only place Aussies could get their hands on them was eBay and they were priced upwards of $20. So I paid the twenty something dollars and finally got my hands on one in the Sweet Mint flavour. What I found was that it was, put simply, a lip balm that was no different to a Chapstick of Nivea lip balm regarding the actual product inside. Recently a Costco opened up at Brisbane's Northlakes so I went to check it out and picked up the 4 pack of the EOS lip balms that everyone had told me were available from there. This four pack cost me under $20, less than the cost of the single one that I bought a couple of years back. Let's just say that I was pretty happy and so that solidified my conclusion. The EOS balms are a great product and there's no doubt about that but it's the price that determines if this product is worth it or not. For $20 you could buy multiple Chapsticks so it's not worth buying a single EOS for that price. If they work out to be under $5 each, like if you buy them from Costco or have they available to you since you live in the US or somewhere that sells them commercially, then they are worth it. They work out to be just a little extra than a Chapstick and for that price you get to choose a nice flavour that comes in an adorable container. These are 95% organic and 100% natural so don't contain any nasty chemicals which is an ease of mind. Their main moisturising properties comes from Shea butter and Vitamin E so they leave your lips feeling smooth and nourished. The flavours that the four pack contains are; Sweet Mint, Strawberry Sorbet, Summer Fruit and Honeysuckle Honeydew. The Sweet Mint most likely contains a small amount of methanol since it leaves a tingly refreshed feeling on your lips but the other three are just normal. 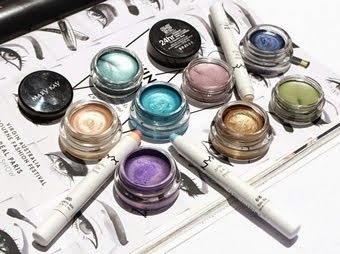 So overall I think that they are a great product and if you can get your hands on them for under $5 each then they are definitely worth it but I wouldn't go out of my way and spend excessive amounts on them. I have read so many rave reviews about these lip balms but have yet to try it. Definitely one of my 'to purchase' products! 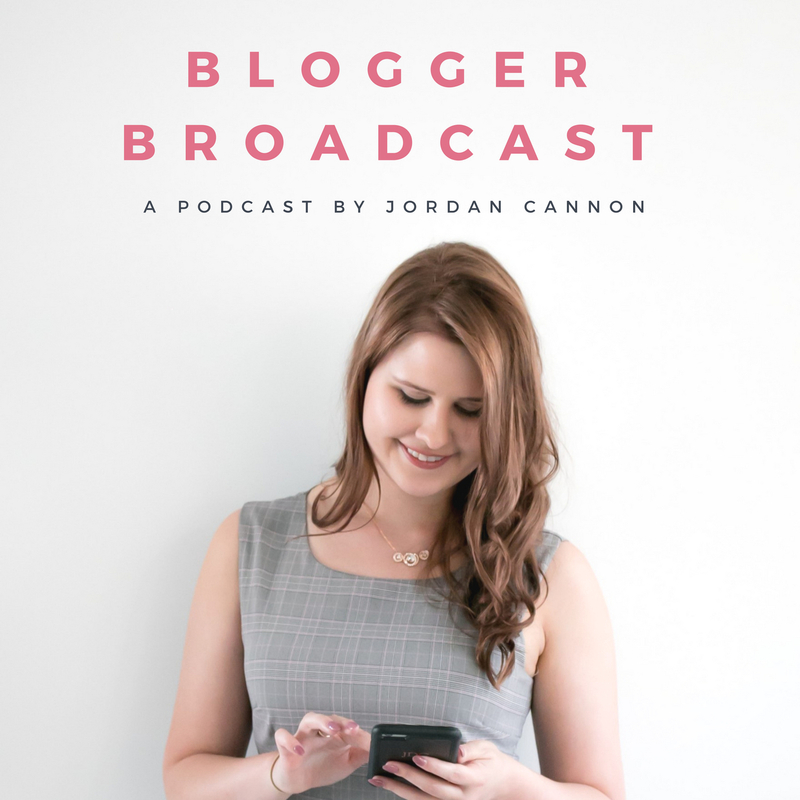 You have a great blog, love it! I love these. They're so cute and handy and perfect for day lip balm needs. But I have to say they aren't the MOST moisturizing things out there because of their textures but I don't have severely chapped lips or anything so I'm contented. I love EOS! Definitely one of my favorite lip balms. 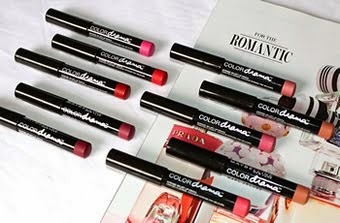 i think i will have my self to try this product on my lips. soon. thanks for sharing. Great review!!! I love them seriously! 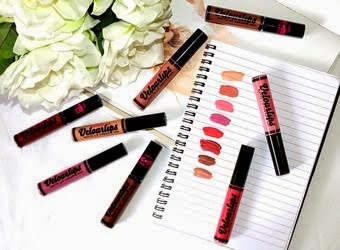 they are not only super cute but they really help my dry lips! 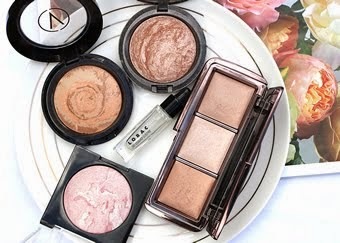 thanks for sharing :) Thanks so much for your lovely comment on my blog, I’m following you on Bloglovin, I hope you can follow me back to stay in touch. I have a few of these stashed at my desk/in my purse- they come in handy! I agree, I don't think they quite lived up to all the hype as the product didn't seem any better than chapstick. 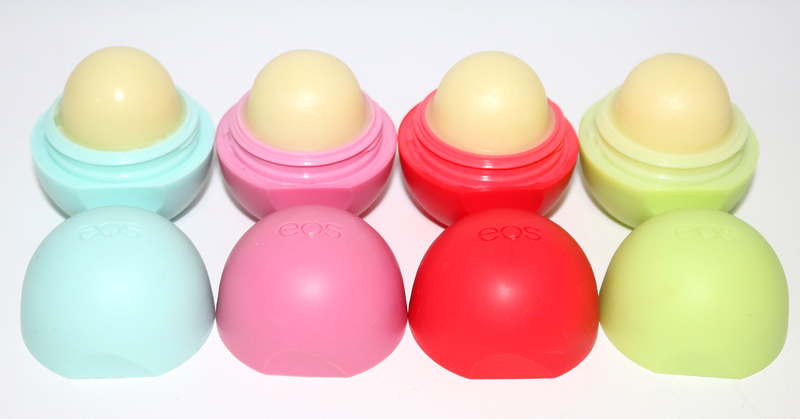 However I do like the eos packaging a lot more, so I am willing to pay more for them than chapstick, just not a lot more. I am so similar, they seem to be stashed everywhere; my handbag, car, desk, vanity etc. Well at least we know our lips will never get chapped haha.